Reading and share top 3 famous quotes and sayings about Jasmine Flowers by famous authors and people. 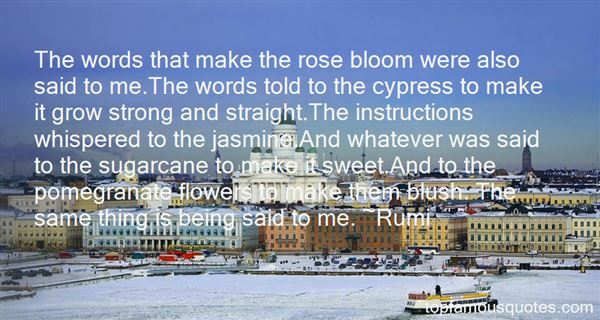 Browse top 3 famous quotes and sayings about Jasmine Flowers by most favorite authors. 1. "The wind, one brilliant day, calledto my soul with an odor of jasmine. "In return for the odor of my jasmine,I'd like all the odor of your roses. ""I have no roses; all the flowersin my garden are dead. 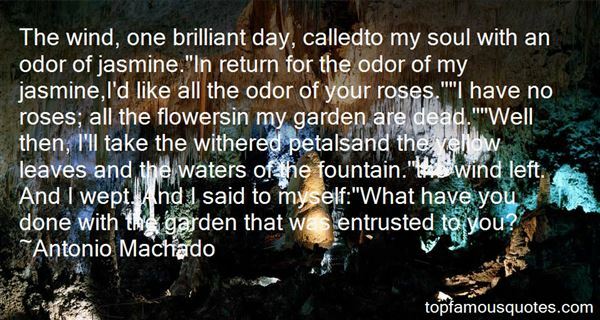 ""Well then, I'll take the withered petalsand the yellow leaves and the waters of the fountain. "the wind left. And I wept. And I said to myself:"What have you done with the garden that was entrusted to you?" 2. "Dove smiled in satisfaction. "Something I picked up in the south of France. It's the purest jasmine from Grasse, which makes it very special indeed." "Why?" Evie sniffed again. The scent was rich and sensual, curling against her like a cat and warming itself on her skin. 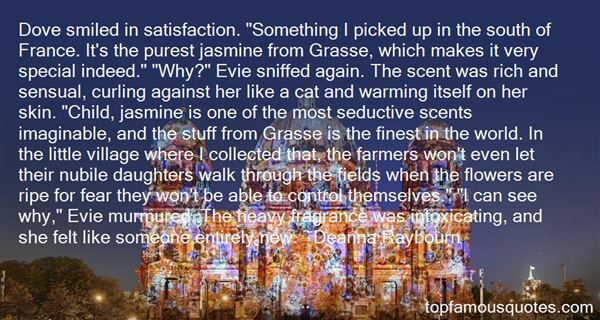 "Child, jasmine is one of the most seductive scents imaginable, and the stuff from Grasse is the finest in the world. In the little village where I collected that, the farmers won't even let their nubile daughters walk through the fields when the flowers are ripe for fear they won't be able to control themselves." "I can see why," Evie murmured. The heavy fragrance was intoxicating, and she felt like someone entirely new." 3. "The words that make the rose bloom were also said to me.The words told to the cypress to make it grow strong and straight.The instructions whispered to the jasmine.And whatever was said to the sugarcane to make it sweet.And to the pomegranate flowers to make them blush. The same thing is being said to me." Men lie the most,women tell the biggest lies."